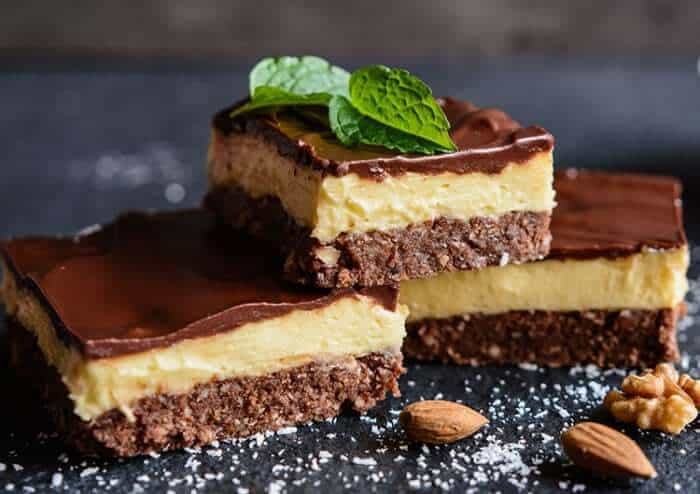 Nanaimo bars are a Canadian dessert staple! There is probably nothing as famous as a Nanaimo bar when it comes to Canadian cuisine, excepting the butter tart, of course. This buttercream custard filled bar is a sweet-tooth’s dream! 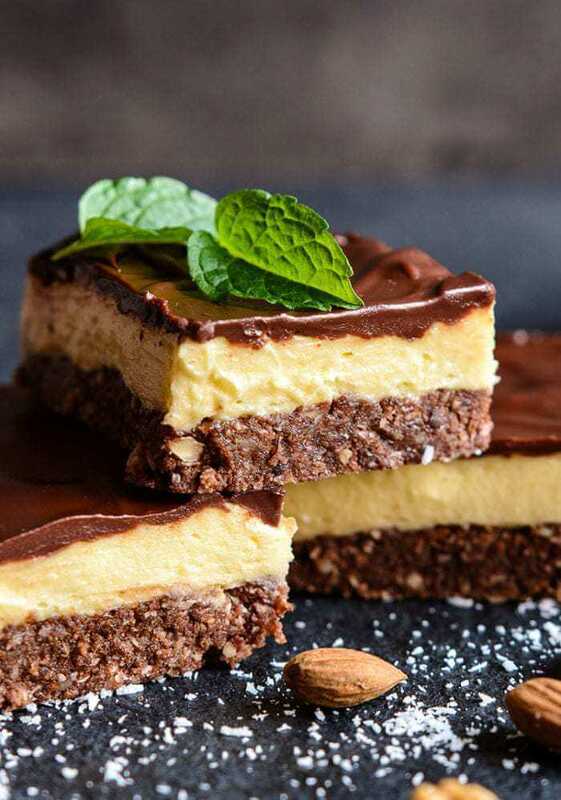 The Nanaimo bar is a no bake bar dessert that is (supposedly) named after the city of Nanaimo, British Columbia on Vancouver Island. There are a few arguments over where it came from, but generally we all agree that it was made famous by Nanaimo at the least. It consists of a walnut and crumb based bottom layer that is pressed into a pan. That layers is then topped by the middle layer that consists of of custard flavoured buttercream icing (which is the best part!) and then covered with melted chocolate. The melted chocolate then hardens, creating a hard chocolate topping. What is in a Nanaimo Bar? The real secret to a nanaimo bar is the custard powder, but what if you don’t have custard powder? If you want to replace the custard powder in a nanaimo bar, you can use instant vanilla pudding instead. It’s not the exact same and the color won’t look the same pale yellow, be warned, but it will be very close! Can you freeze Nanaimo bars? I am sure that the reason these are so popular is that Nanaimo bars are probably one of the BEST bars that you can freeze! Remember to wrap them up and place them in layers in an airtight container and they will freeze up perfectly for a month or two. While I don’t think the original recipe has cooling the crust as a step in it, it IS better to cool the crust in between. While you are making the middle filling pop the bottom crust into the fridge. This is easiest to cut when it’s colder. Scour lines in the top of the chocolate before it hardens, then cut through those exact lines when the bars are cold. You will get perfect squares without cracking chocolate! Keep them chilled as they get melted in the middle a bit when at room temperature! 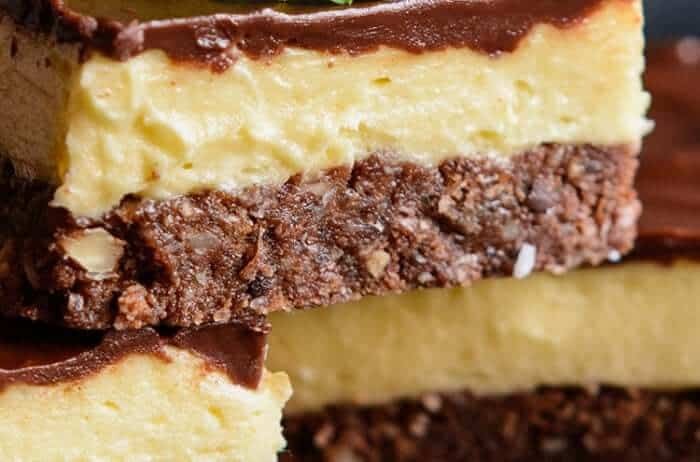 This nanaimo bar recipe is one that my family has been using for years and I suspect it’s the one from Company’s Coming cookbooks, as a lot of bars are. 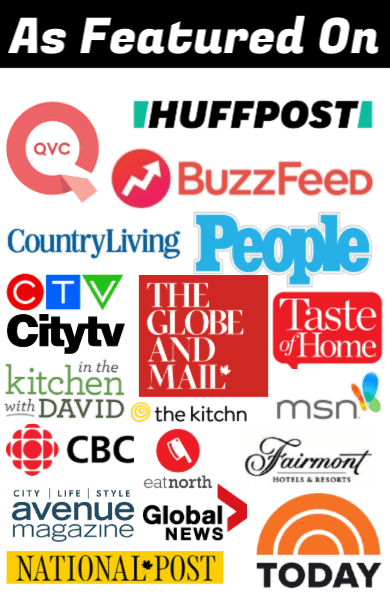 However, she didn’t invent the nanaimo bar….so I would love to know which recipe is THE original Nanaimo bar recipe. Does anyone know or is it a lost cause to ever truly pin down who came up with Nanaimo bars? No matter who, a big thank you for inventing my favourite square! The classic nanaimo bars recipe! Start with the bottom ingredients. In a large pot, melt the butter, sugar and cocoa together until it's smooth. Quickly beat in the egg, making sure there are no lumps. Add in the graham crumbs, coconut and walnuts. Firmly press into the bottom of an un-greased 9x9 pan. Chill in the refrigerator while you get the middle layer ready. Get your middle ingredients together. Custard powder should readily be available in any store and is what gives the middle layer the yellow color. Cream the icing, butter, milk and custard powder together with a mixer, then spread onto the bottom layer. Melt the cup of chocolate chips and 2 tbsp of butter together. Spread the chocolate on top evenly, then cool in the fridge for a couple hours. The nanaimo bars are best chilled, they hold together the best, since the middle layer is well, butter! Hello from Winnipeg. Just found your site today when I was looking for the source of whipped “shortbread”. I make traditional Scottish shortbread and wondered where the shipped form began. I think it was in the 30’s or 40’s but no real proof. One question: Is it me(?) or is your list of the three levels for Nanaimo bar upside down. You say the bottom layer (of crumbs etc) is the “top layer.” and the chocolate and butter layer is the bottom layer in your recipe. 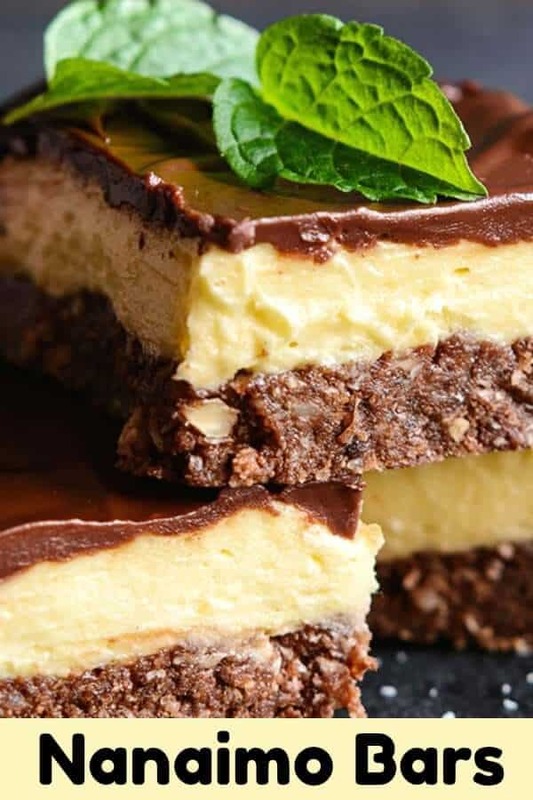 Nanaimo bar has been around for quite a long time before the Bridge cookbooks. Great books. I have all of them. I found Nanaimo Bars in one of my mother’s old church recipe books put out by the women’s auxiliary – c 1940 – and I also have an old CCF cookbook I found a long time ago in a book sale (the CCF is of course, now the NDP.) A terrific book with many local recipes. Not sure of the date, but the CCF cookbook was probably printed at least 50 years ago. 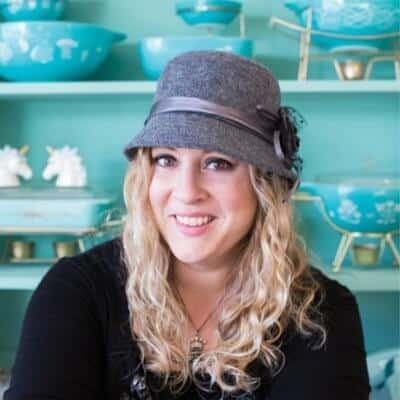 I am looking forward to seeing some of your recipes! Love the site. That’s whipped, not “shipped”! Lol. I will try your version of Nanaimo as my old recipe is too dry/ crumbly on the bottom and it falls apart. Semi sweet chocolate chips for the top layer? I love making these for my kids. This recipe was great! Best nanaimo bars ever! . These look so good! I’m wondering if I have to cook the base layer for a bit so the sugar will dissolve??? I have used this recipe many times. Turns out perfect every single time. A little chilling between layers does help for sure but I usually can’t wait that long..lol. Also I found it a lot nicer without the walnuts in the crust, i sprinkle them on top of the chocolate instead. Sooooooo good. Way better then store bought variety.